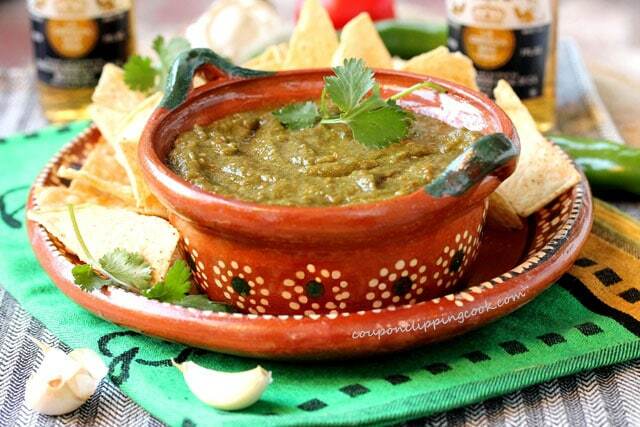 If you like cilantro and garlic, this is the salsa for you. 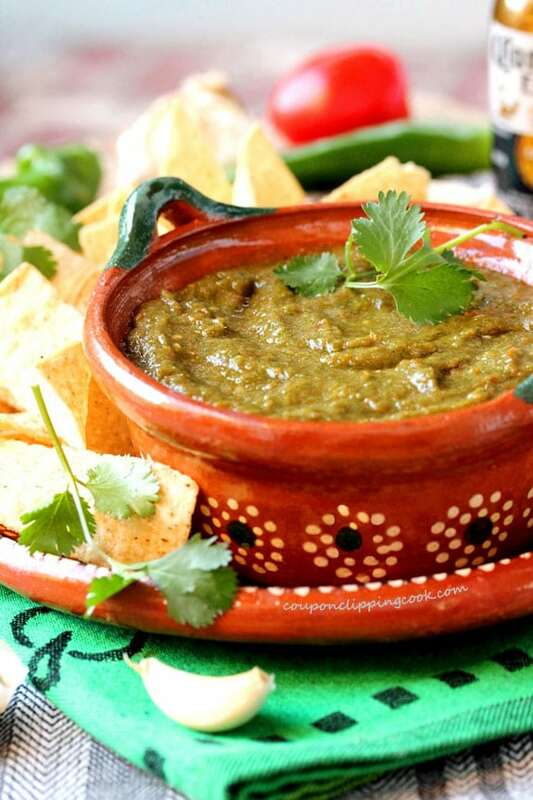 It’s so good that you may want to forget the tortilla chips and just use a spoon. Just add all ingredients to a blender and blend away. 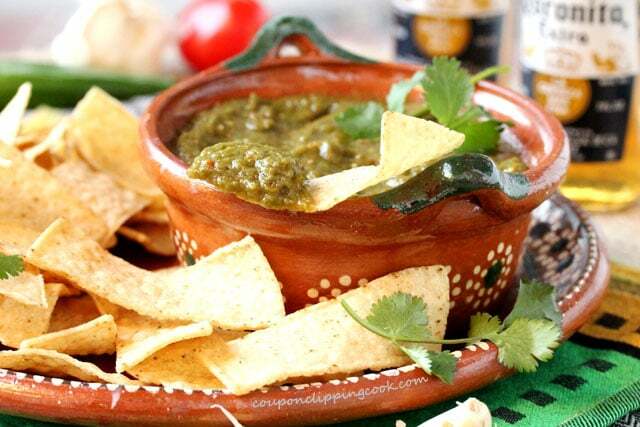 I especially like this salsa because it’s slightly tart from the lime juice, spicy from the jalapenos, and the overall taste is very fresh from the cilantro, garlic and Roma tomatoes. It tastes best when there’s just enough seasoned salt added which really brings out the flavor. 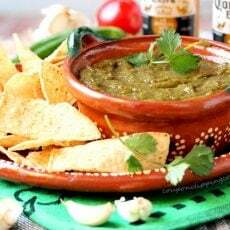 This salsa is great for dipping because it’s a little on the thick side and has a nice texture to it. You want to give someone a just-because-gift…put the salsa in a mason jar and add a ribbon. do a taste test to see if the salsa needs more salt. If so, add more salt and use the pulse setting to mix it in. 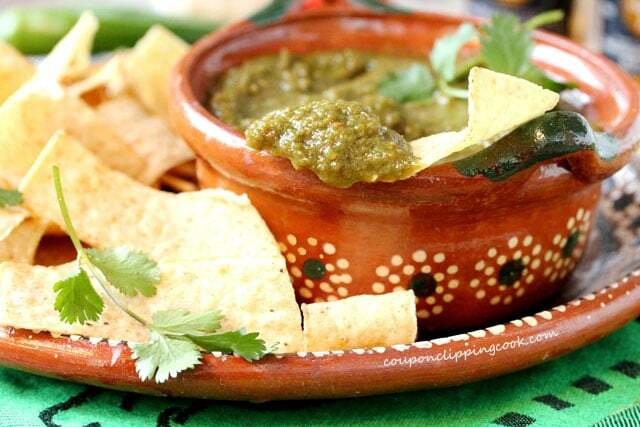 More Dips and Salsas you may like. 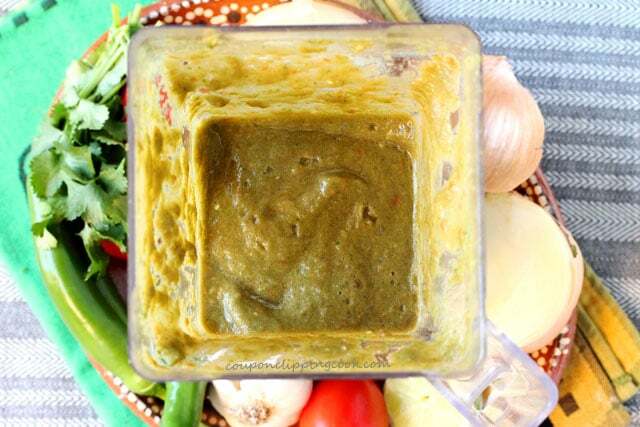 If you like cilantro and garlic, this is the salsa for you. 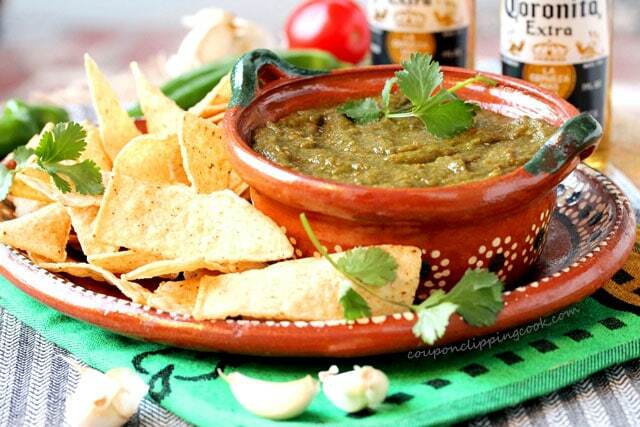 It's so good that you may want to forget the tortilla chips and just use a spoon! 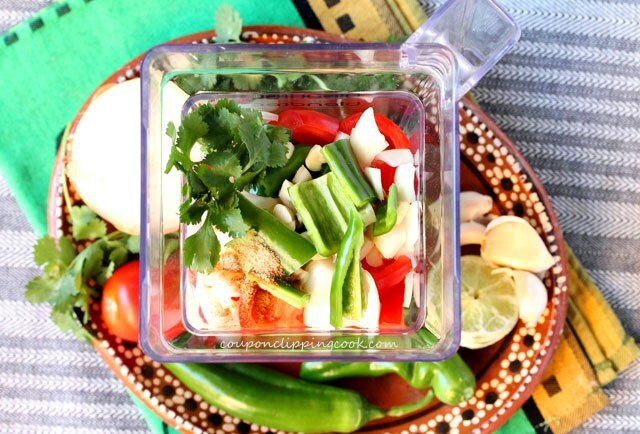 In a blender, add all of the ingredients in the order listed and blend on the sauce setting. Do a taste test and if more seasoned salt is needed, add the desired amount and use the pulse setting to mix it in.